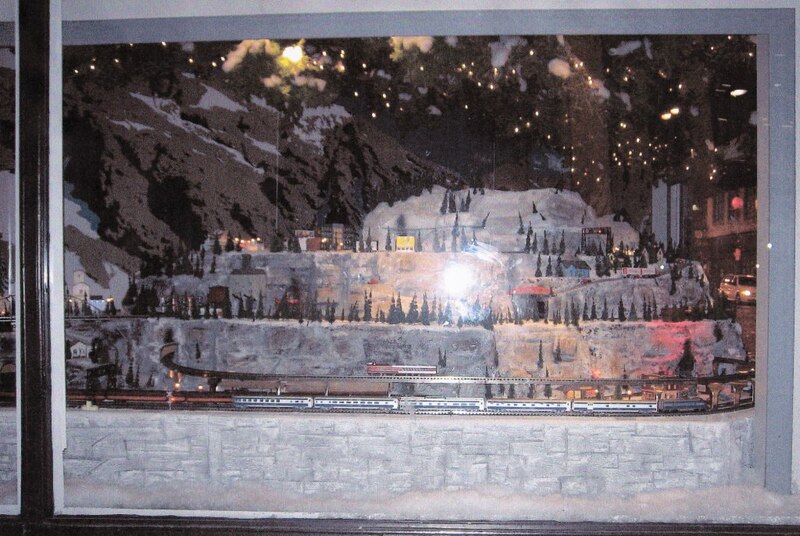 The American Flyer S Gaugers of the St. Louis Area (AFSGSLA) model train club installed and maintained a large Christmas train layout in a display window of a downtown St. Louis department store beginning in 1988 and lasting until 2012. The store, known in 1988 as Famous-Barr, was the flagship store for the May Department Store System until the May System was sold to Macy’s in 2006. It had been apparent to the membership of AFSGSLA, even before the sale of Famous-Barr to Macy’s, that the viability of the downtown location was problematic as the store had shrunk from eight floors down to three. There was hope that Macy’s might try to revitalize the St. Louis store because our club was asked about installing the Christmas layout into a different window for the 2013 season. However, the layout would not fit nor could it be retrofitted for the proposed window. At Macy’s request, a committee of AFSGSLA members designed a new layout and developed a budget for a new 2013 layout for the proposed display window. Approval of the new layout never came as Macy’s announced on 21 May 2013 that the downtown store would close. Thus AFSGSLA’s annual Christmas gift to the community and a 25 year tradition was ended. 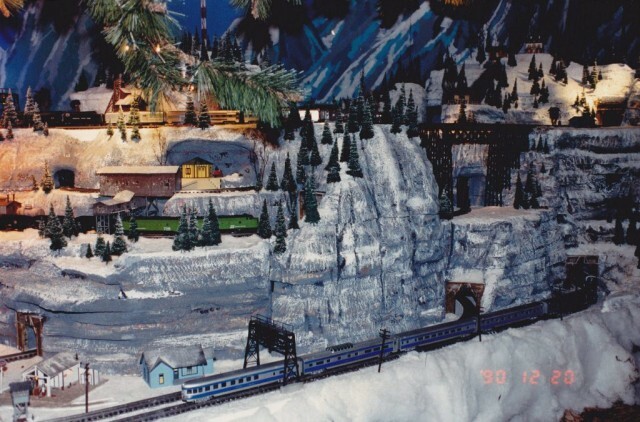 One week later an article appeared in the St. Louis Post-Dispatch questioning what might happen to the Christmas layout. Members of the Senior Advisers group of AFSGSLA, which acts much like our executive committee, had already begun contemplating what to do with the layout, its structures, and its trains in as much as the Club owned the layout. Nevertheless, we were overwhelmed by the number of inquiries and expressions of interest hoping to take possession of the layout or provide a home for it after the newspaper article ran. The Senior Advisers decided that a number of those organizations which had expressed interest would be sent a request for proposal asking for responses specifying what each organization would do with the layout, how it would put to use, what security arrangements would be employed, and how and where it would be stored and maintained. There were a number of qualified responders making the decision regarding what to do with the layout very difficult. Ultimately, the decision was made to transfer the layout to the nationally acclaimed Museum of Transportation in St. Louis County. The layout was removed from the Railway Exchange Building where it had been stored during the off-season for the last several years and where the Macy’s, and before that Famous Barr, store had existed since early in the twentieth century. The layout was moved with the help of a Macy’s provided truck and moving crew to the Museum on 30 July 2013, without incident. The Museum now plans to refurbish the layout and display it this year at Christmas time. It’s just for the fun of it!! !